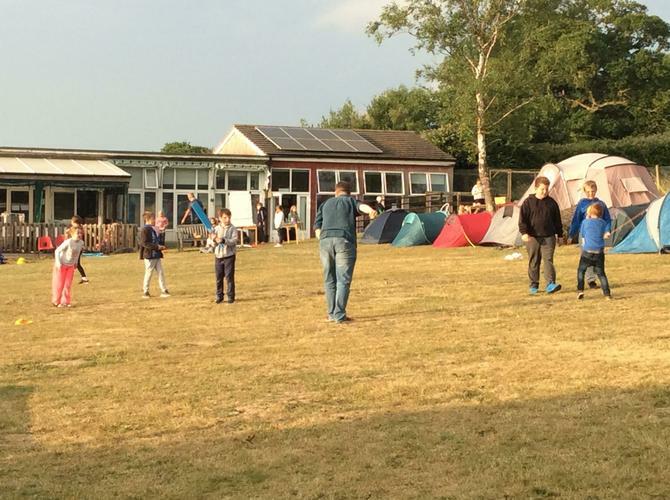 We had an amazing residential at Hawkchurch, with everyone taking part and joining in all the activities. 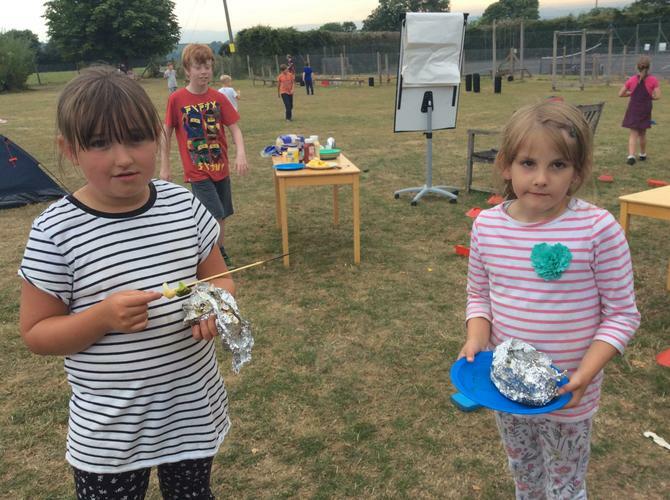 Our first day was jam pack with activities, including setting up the village of tents, and preparing kebabs the children had written recipes for- they were very delicious indeed! 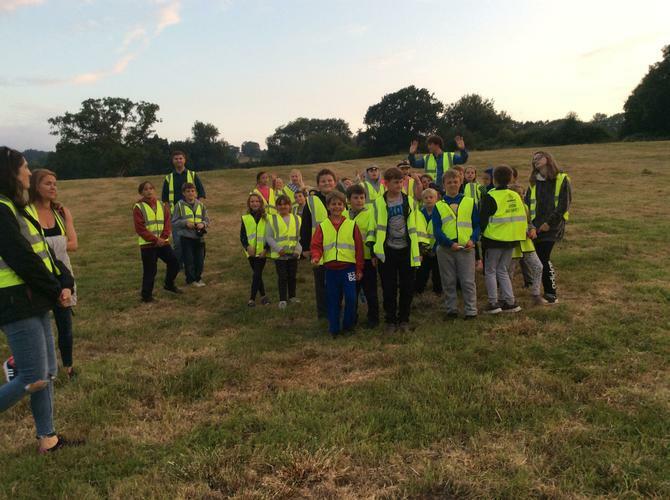 On our evening walk the children were running, jumping, tiptoeing and striding through the countryside with many exclaiming how beautiful the view was, and asking for plenty of photos. 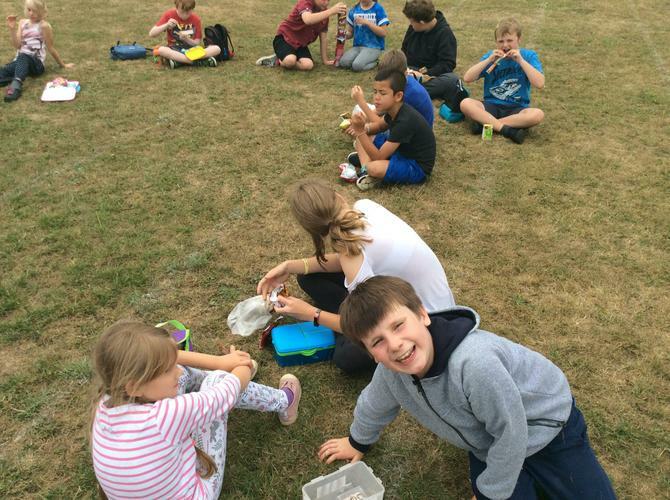 After food, the children all settled down with a bowl of popcorn and a film (some even drifted off to sleep for a while, after such an exhausting day). The late evening was spent sat by the fire, (for those night owls who were still awake) talking about the day’s events and singing camp fire songs. The next day Mrs Rickword was awoken by a chorus of children, hungry for breakfast. After munching their way through three boxes of cereal and a whole heap of toast, they were ready for the second day. 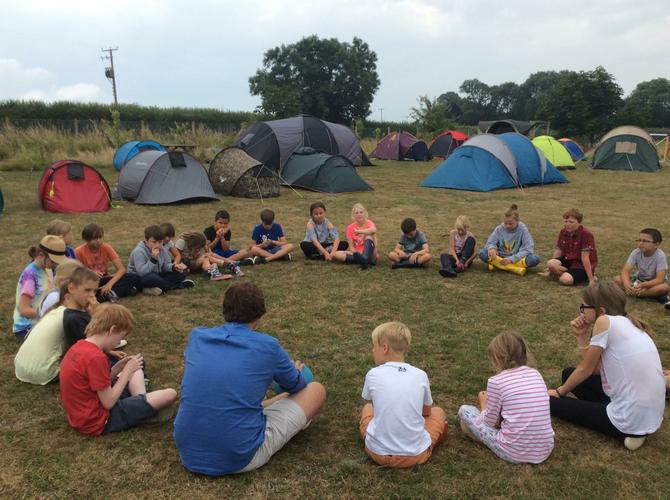 The tired children took part in team building activates and crafts before taking down their tents and trying very hard to fit the pop up tents back into their bags. 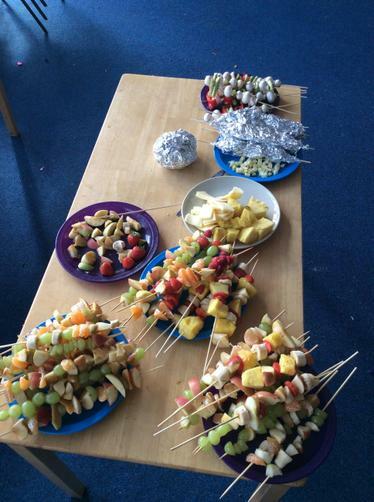 We would like to thank the volunteers for all their hard work and dedication throughout the residential. (Mr Hubbard, Mrs Chapman, Mrs Turley, Mrs Cox, Mrs Burnell, Mr and Mrs Vanstone and Mr Michall).